Students say they can hear classmates screaming. 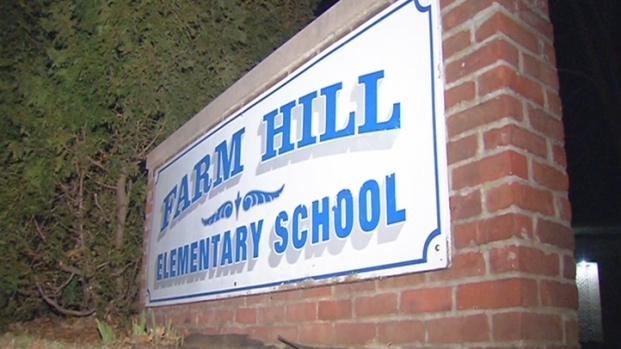 Middletown parents, many of whom have children at Farm Hill Elementary School, are outraged about the way the school is dealing with misbehaving students. Teachers and staff put the children, including those with special needs, in what parents call "scream rooms." "My 1st grader is there and is not learning because there are so many behavioral problems at that school,” Tricia Belin said. “The building custodians had to go in and clean blood off the walls and clean urination off the floors,” the parent said. At a Board of Education meeting on Tuesday night, many parents questioned the use of the rooms that the district calls "timeout rooms." "I learned last year from my daughter that she was put in a closet that had holes in the walls and no windows and (was) locked in there," one mother said. Jane Majewski said Caleb, her high-functioning autistic son, needs the quiet of the timeout room to calm down, but she understands other parents misgivings. "If you start using a timeout room and other children are in the school, they are going to be traumatized. Parents are going to be traumatized," Majewski said. To address the behavioral issues, Supt. Michael Frechette outlined a plan that would provide additional staff and resources at Farm Hill Elementary. Frechette directed NBC Connecticut’s questions about the so-called “scream rooms” to Board of Education Chairman Gene Nocera. "We are looking at it very carefully -- location, how we implement the program, and if corrective actions need to be taken, we will be doing that quickly,” Nocera said. Nocera and Dr. Frechette will also be at a Farm Hill PTA meeting on Thursday night to further address parents’ concerns.